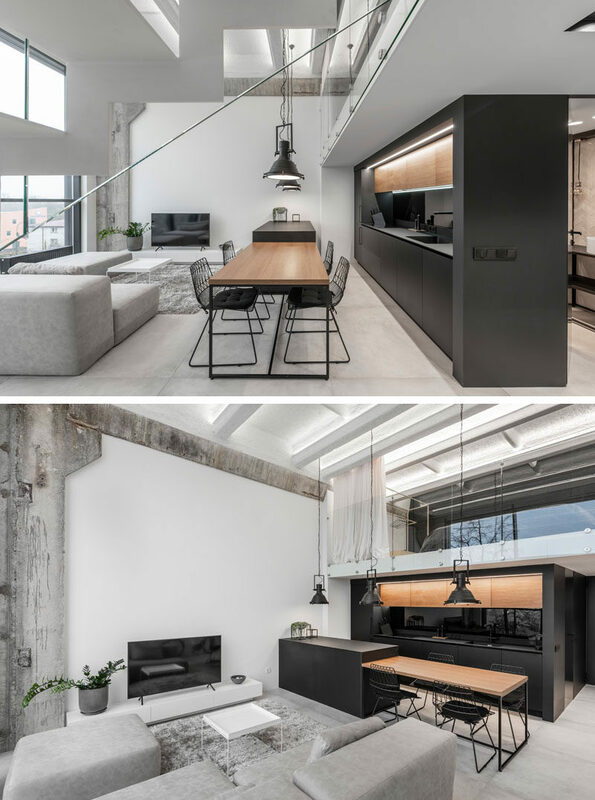 Design firm IDwhite has recently completed the interiors of a modern industrial loft in Kaunas, Lithuania. 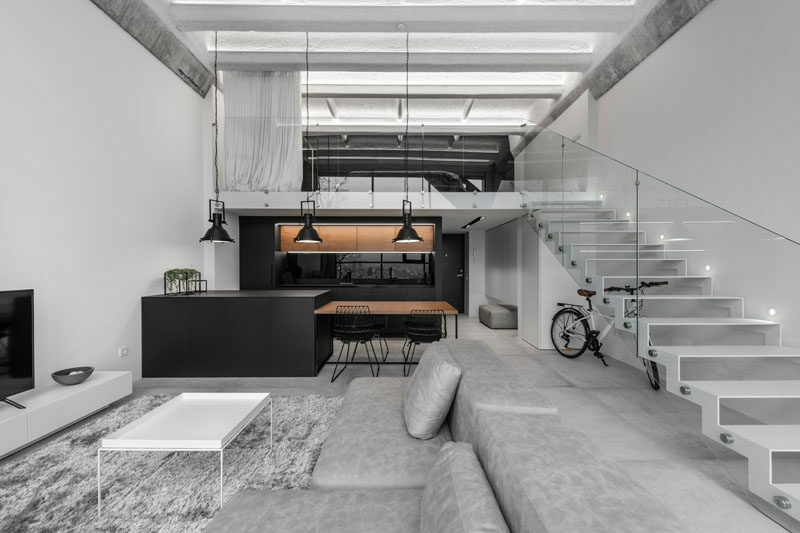 The 688 square foot (64sqm) apartment within a reconstructed multistory industrial building, has an open floor plan with a mezzanine bedroom. 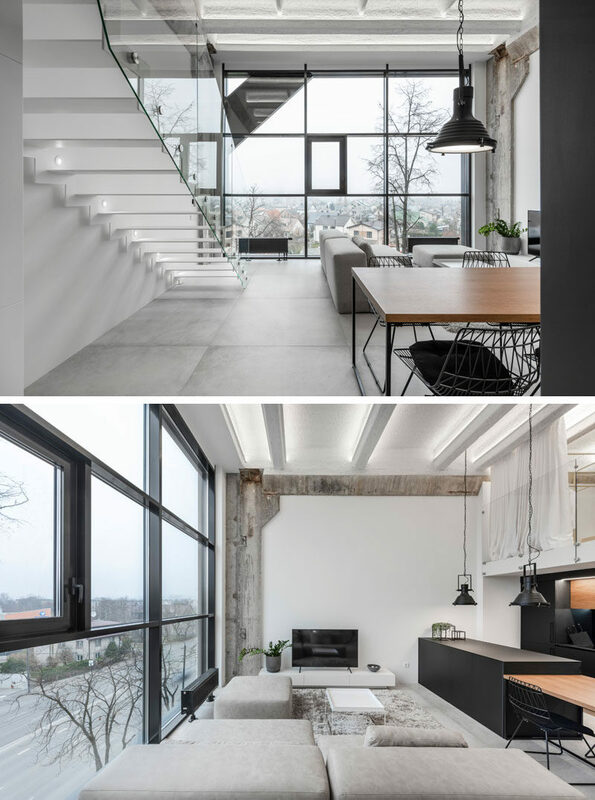 Remnants of raw concrete and a large wall of windows have been combined with fresh white walls and modern furnishings. Separating the living room and kitchen is an island that drops down to become a wood dining table for four. 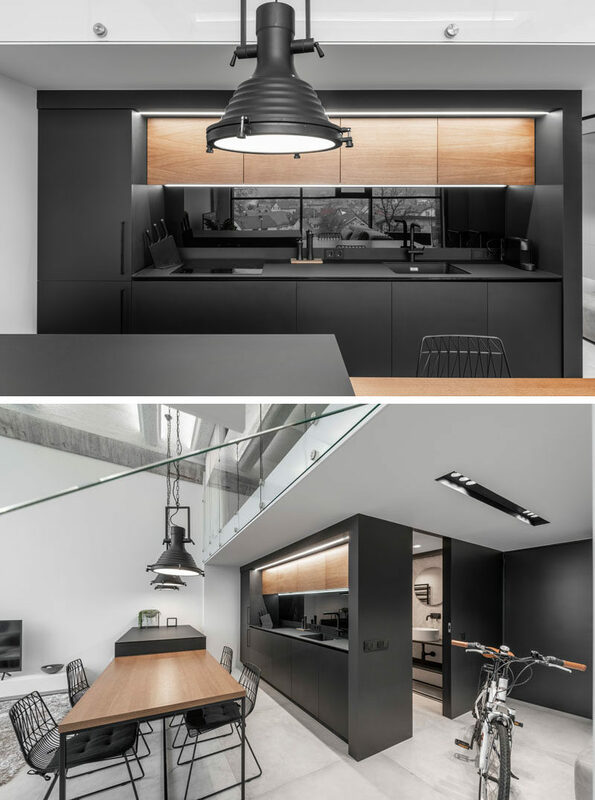 In the kitchen, the upper wood cabinetry complements the dining table, contrasts the black cabinets, and adds a natural touch to the minimalist interior. 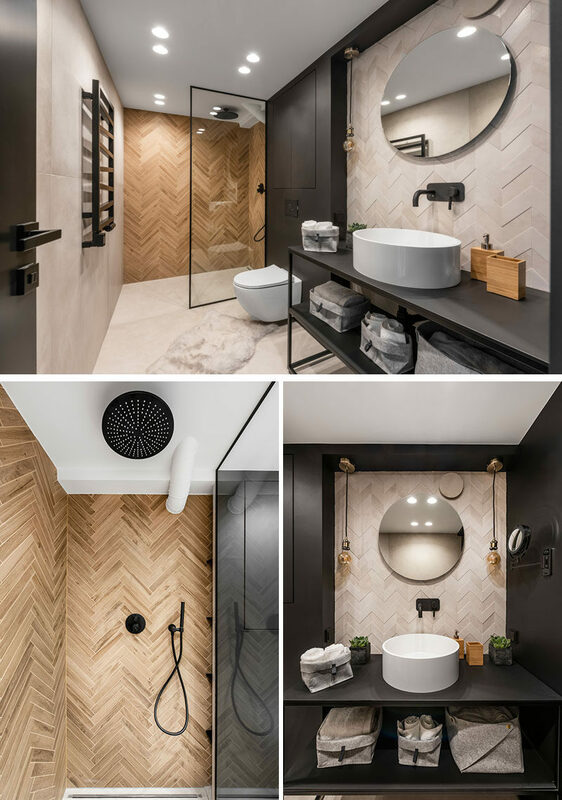 Behind the kitchen and by the front door is the bathroom, which features tiles installed in both herringbone and chevron patterns. Adjacent to the living room are minimalist white metal stairs with a glass handrail that lead up to the bedroom. 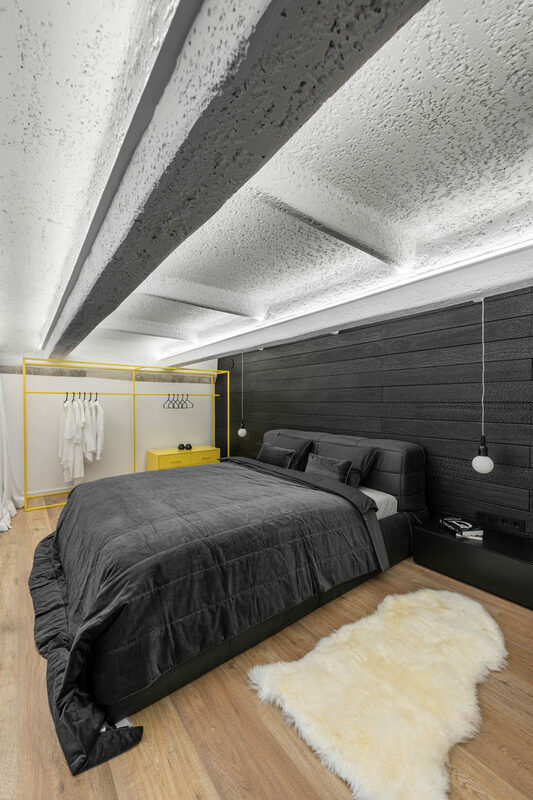 In the bedroom, soft white curtains can be closed for privacy, while the contrasting accent wall behind the bed is covered by burnt Accoya wood. A pop of yellow has also been added in the form of a freestanding open closet. 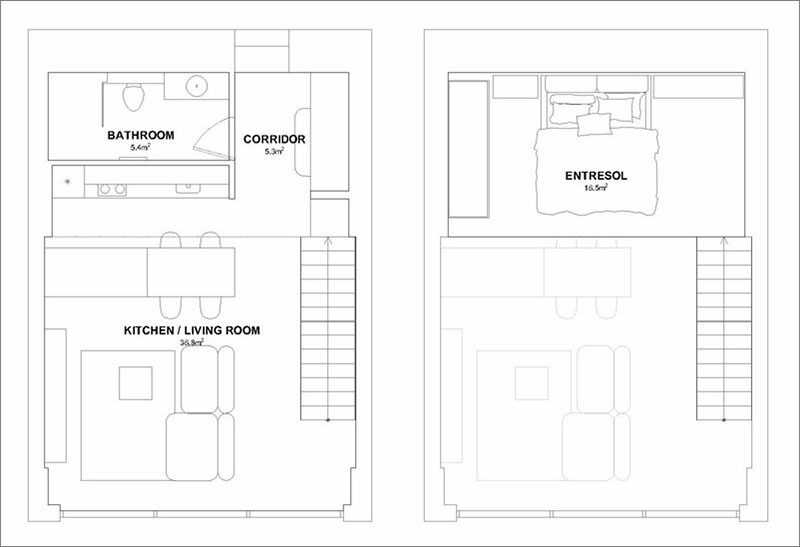 Here’s a look at the floor plan that shows the layout of the apartment.